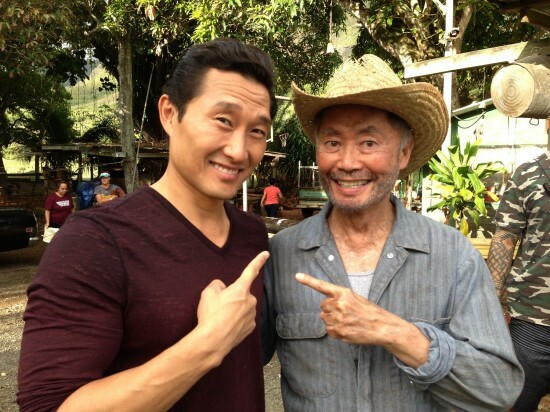 In an episode of CBS’ “Hawaii Five-0” that will air in December, George Takei plays the bootlegger uncle of Chin Ho Kelly (Daniel Dae Kim). On the NBC series “Heroes,” Takei had a recurring role as Kaito Nakamura, father of time traveler Hiro Nakamura (Masi Oka). Since Oka is now a regular on “Hawaii Five-0” as medical examiner Max Bergman, there could be a “Heroes” reunion. Previous episodes featured Kim’s “Lost” co-star Terry O’Quinn and Oka’s “Heroes” co-star Greg Grunberg. Most recently seen on stage in “Allegiance” at The Old Globe in San Diego, Takei plays Hologramps on Nickelodeon’s “Supah Ninjas” and just appeared in an episode of NBC’s “The New Normal.” He also guest-starred in an episode of the original “Hawaii Five-0” in 1975.